Glial tumors are difficult to classify. The lack of reproducibility between pathologists is proven, with a difference of interpretation between reaction cells and tumor cells, and between astrocytes and oligodendrocytes. This drawback does not exist in any other organ, and so far no immunohistochemical marker can make the distinction. This chapter on neuro-­oncopathology reviews the history of the different histological classifications used over time to try to perform the grading of gliomas, with special emphasis on the WHO classification which is considered as the gold standard but which has however several limitations. 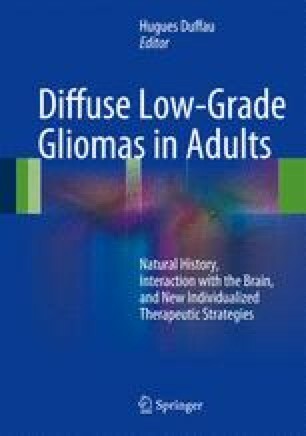 Finally, we discuss our experience with diffuse low-grade gliomas with regard to the proposal of a new intermediate grade.